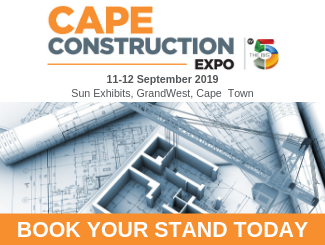 The local construction industry is known to be a volatile sector – it was only in 2018 that two stalwarts of the construction world were placed in business rescue, namely Basil Read in June and Esor Construction in August and more recently, Group 5 earlier in 2019. 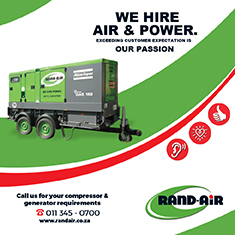 And yet, Sandton and Rosebank can still be pinpointed as two examples in Johannesburg where it does seem as though this sector is still flourishing. According to research company Fitch Solutions, the South African construction industry is expected to emerge from its recent recession during 2019, and even though growth is only forecast at 2,4% for this year, it does mean that the sector offers some hope in an economy that is struggling to find its feet overall. Against this background, it is interesting to look at a few other designated construction ‘hot spots’ in South Africa besides the business hubs of Rosebank and Sandton. Cape Town International Airport is set for a R7-billion overhaul with a new runway, as well as new international and domestic departure lounges, due to be completed by 2023 . Construction has begun on Kerzner Estate, an exclusive luxury estate on the Atlantic Seaboard owned by South African entrepreneur Sol Kernzer and his family. In Durban, construction began last year on the multi-million rand Durban Point Development project, which will extend the famous beachfront promenade and ultimately create around 6 750 permanent jobs . 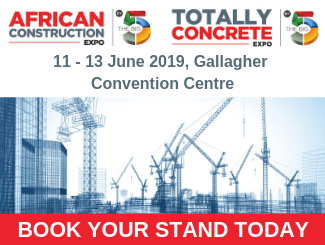 “These are just a few examples of where the construction industry is showing that it is poised to turn a corner in 2019,” says Sven Smit, portfolio director at Specialised Exhibitions Montgomery, which is once again running A-OSH EXPO – Africa’s largest occupational health and safety (OHS) expo – at Gallagher Convention Centre from 14 to 16 May this year. Smit notes that working at height is an occupational hazard of the construction industry, whether an employee is driving a crane high above a site or working on scaffolding. Smit adds that, in addition to various key exhibitors in this area, A-OSH EXPO will this year once again be offering the PASMA Working at Height Theatre, which will present content through all three days of A-OSH EXPO. The PASMA Working at Heights Theatre also offers an opportunity to gain Continued Professional Development (CPD) points with the South African Institute of Occupational Safety and Health (Saiosh). “The PASMA Working at Heights Theatre provides a dedicated height safety hub for delegates to access expert speakers and live demonstrations, and is a strong annual drawcard. It’s organised by PASMA, the international not-for-profit authority for the mobile access tower industry, which is also joined by various organisations to cover a range of topics. “If you are involved in the construction industry, whether as part of a small business or as a member of a large organisation, A-OSH EXPO has something to offer you from a workplace height safety perspective, both through our exhibitors as well as the excellent free seminar content on offer,” he concludes.